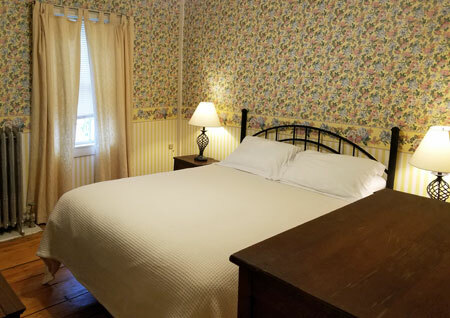 (maximum of 5 guests): Our two room suites come with two separate rooms and one private bath. 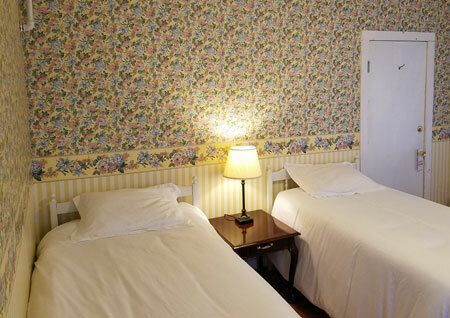 This suite is ideal for families traveling with children, as it has one queen room with a three twin room attached. The rooms are connected by a small closet/doorway so the children can have a separate sleeping space while remaining close to the parents. 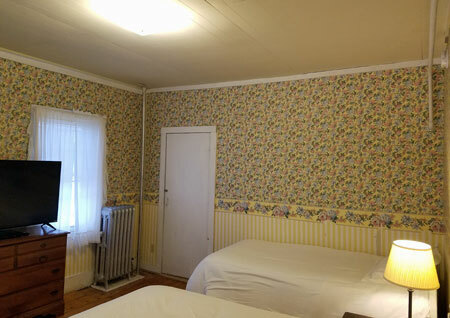 Both rooms have their own 48″ TV with Blu-Ray/DVD player. I stayed with my family here for a weekend and this place was great! We stayed in the King suite and it was really cute. It’s about a 2-3 minute ride to North Conway and it is convenient to get to because you can go around the main stretch of N. Conway where traffic can be difficult. The house had a nice backyard for playing with the kids. Really liked this B&B and highly recommend it!